Linda Grey Tirella, OTD, OTR/L,MHA, is a licensed occupational therapist with over 30 years of experience. 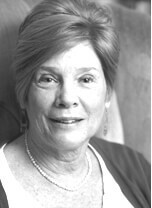 She was the Co-Director of the Center for Adoptive Families at Tufts Medical Center in Boston for over 12 years. She has worked in the public school system with a variety of ages and disabilities, but with a concentration on children diagnosed with Autism/Pervasive Developmental Delays as well as neurodevelopmental delays. Linda is certified in Sensory Integration and Video Feedback for Positive Parenting. She has established collaborative partnerships with local universities in an effort to design new models of augmentative communication and mobility. Linda has given lectures and in-service seminars on Sensory Integration for both professionals and parents, and guest lectures at Boston College in the areas of childhood development and oral motor/feeding issues. She has presented both locally, nationally and internationally on her research on outcomes of internationally adopted children.